The Cinque Terre (Italian pronunciation: [ˈtʃiŋkwe ˈtɛrre]; Ligurian: Çinque Tære, meaning "Five Earths") is a coastal area within Liguria, in the northwest of Italy. It lies west of La Spezia, and comprises five villages: Monterosso al Mare, Vernazza, Corniglia, Manarola, and Riomaggiore. The coastline, the five villages, and the surrounding hillsides are all part of the Cinque Terre National Park a UNESCO World Heritage Site. The Cinque Terre area is a popular tourist destination. Over the centuries, people have built terraces on the rugged, steep landscape right up to the cliffs that overlook the sea. Paths, trains and boats connect the villages and cars cannot reach them from the outside. Cinque Terre is mentioned in documents dating to the 11th century. Monterosso and Vernazza were settled first and the other villages grew later, whilst within the territory of the Republic of Genoa. In the 16th century the inhabitants reinforced existing forts and built new defense towers to defend the area from attacks by the Turks. Cinque Terre experienced economic decline from the 17th to 19th centuries, recovering when an arsenal was built in La Spezia and it gained a railway link to Genoa. The railway led to migration from the area and a decline in traditional industries until the growth of tourism fom the 1970s onwards brought some prosperity. The predominant crops in the area have been grapes and olives. Some fisherman were based in Monterosso, but the area's gaily painted fisherman's cottages were conceived in the late 1970s as a tourist attraction. 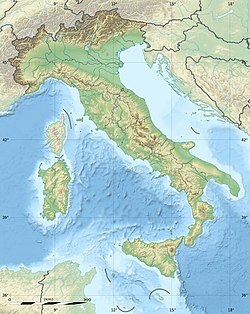 On 25 October 2011 torrential rains caused floods and mudslides in Cinque Terre. Nine people were killed and villages were severely damaged, particularly Vernazza and Monterosso al Mare. Access to Cinque Terre by car is limited. A road to Vernazza is very narrow and ends a kilometre before the town. Trains run from La Spezia to all five towns within Cinque Terre, as well as to major regional and national destinations. A passenger ferry runs between the villages except Corniglia. The ferry also runs to Genoa's Old Harbour, La Spezia, Lerici and Porto Venere. A walking trail, known as Sentiero Azzurro ("Azure Trail"), used to connect the five villages but the section from Riomaggiore to Manarola called the Via dell'Amore ("Love Walk") is closed. It is still possible to walk between these villages, although the trail is both steeper and longer than the (closed) path along the waterfront. From the poem, “The Lemons”, 1921. This is how the Nobel Prize in Literature Eugenio Montale, through his poetry, tells of the beauty of Monterosso and how the Cinque Terre must be discovered. Dante Alighieri who compares the Cinque Terre with the rugged cliff of Purgatory in the Divine Comedy. ...quel fiero Sciacchetrà che si pigia nelle cinque pampinose terre. In 2013 Cinque Terre was one of the shooting locations of the movie The Wolf of Wall Street by Martin Scorsese. This section entitled Food and Wine needs additional citations for verification. Please help improve this article by adding citations to reliable sources. Unsourced material may be challenged and removed. Given its location on the Mediterranean, seafood is plentiful in the local cuisine. Anchovies of Monterosso are a local specialty designated with a Protected Designation of Origin status from the European Union. The mountainsides of the Cinque Terre are heavily terraced and are used to cultivate grapes and olives. This area, and the region of Liguria, as a whole, is known for pesto, a sauce made from basil leaves, garlic, salt, olive oil, pine nuts and pecorino cheese. Focaccia is a particularly common locally baked bread product. Farinata, a typical snack found in bakeries and pizzerias, is a savoury and crunchy pancake made from a base of chick pea flour. The town of Corniglia is particularly popular for a gelato made from local honey (miele di Corniglia). The grapes of the Cinque Terre are used to produce two locally made wines. The eponymous Cinque Terre and the Sciachetrà are both made using Bosco, Albarola, and Vermentino grapes. Both wines are produced by the Cooperative Agricoltura di Cinque Terre, located between Manarola and Volastra. Other DOC producers are Forlini-Capellini, Walter de Batté, Buranco, Arrigoni. In addition to wines, other popular local drinks include grappa, a brandy made with the pomace left from winemaking, and limoncello, a sweet liqueur flavored with lemons. In 1998, the Italian Ministry for the Environment set up the Protected natural marine area Cinque Terre to protect the natural environment and to promote socio-economic development compatible with the natural landscape of the area. Today, millions of visitors visit it every year. In 1999 the Parco Nazionale delle Cinque Terre was created to conserve the ecological balance, protect the landscape, and safeguard the anthropological values of the location. Nevertheless, dwindling interest in cultivation and maintenance of the terrace walls posed a long-term threat to the site, which was for this reason included in the 2000 and 2002 World Monuments Watch by the World Monuments Fund. The organization secured grants from American Express to support a study of the conservation of Cinque Terre. Following the study, a site management plan was created. ^ Squires, Nick (26 October 2011). "Villages all but wiped out as storms batter Italy's 'Cinque Terre'". The Daily Telegraph. Retrieved 6 August 2012. Wikimedia Commons has media related to Cinque Terre. Wikivoyage has a travel guide for Cinque Terre.